French Impressions was inspired by four paintings by the French painter Georges Seurat (1859-1891), but does not attempt to recreate his pointillist technique in musical terms. The first movement, Parade, contrasts the strange gas-lit world of La Parade de Cirque: Invitation to the Sideshow, (which features a sinister-looking trombone player and his ghostly acolytes), with the cool detached stance of that great masterpiece A Bathing Place, Asnières. This view of the Seine lapping a sun drenched green grassy bank on which the pale skinned bathers stare fixedly across to the opposite shore, also reveals in the background, the smoke from the distant factory chimneys to remind us, and them, that this Parisian industrial suburb is far removed from The Garden of Eden. The second movement, Can Can, recreates the world of two other paintings: Le Cirque, left unfinished at Seurat’s tragically early death at the age of 32, and Le Chahut, which depicts a curiously stylised Can Can in full swing, accompanied by a pit orchestra. The phrase “faire du chahut” means to make a racket. French Impressions is affectionately dedicated to Bob and Esther Piankian. 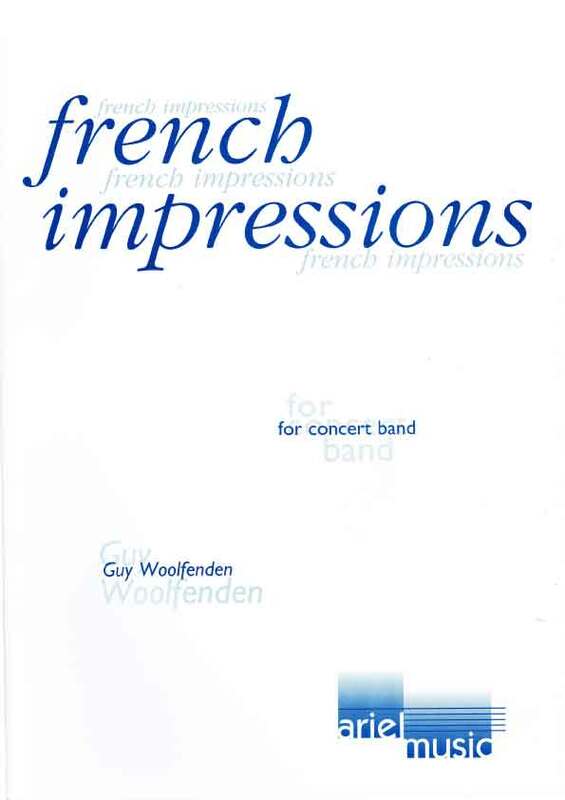 French Impressions was as fun and light-hearted as Woolfenden himself. The first movement was playfully carefree, meandering from a sauntering. airy character to climactic, grand proportions, absent-mindedly back and forth – in that sense decidedly “impressionistic”. The second movement, Can Can, was even more festive, to the point of being riotous. The Parade is flowing, full of melancholy and based on a short thematic idea which Woolfenden always presents in a new light. The lively Can Can is an original independent movement, owing little to Offenbach’s example.